The Conflow Code 14PS - Pre-Setting Bend is used for the setting up and subsequent checking of underground Fire Hydrants. The instantaneous inlet coupling is clipped into the Hydrant outlet and the delivery nozzle is swivelled to point away to a safe area. When the Hydrant is then opened the flow and pressure of the water emitting from the nozzle is indicated on the gauge. 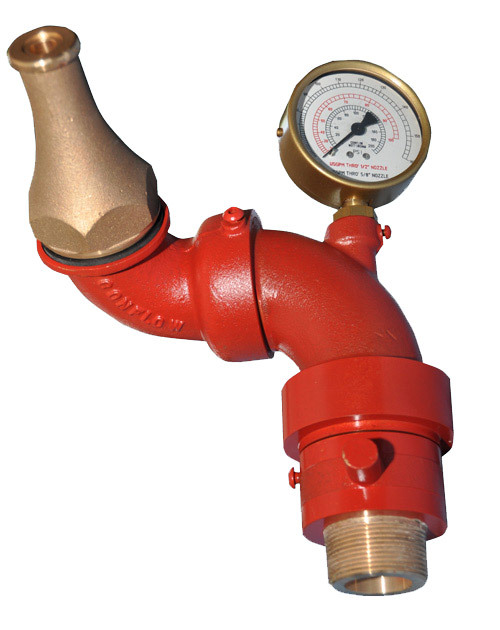 The Hydrant can be adjusted until the gauge indicates the correct flow and pressure for the nozzle size required.